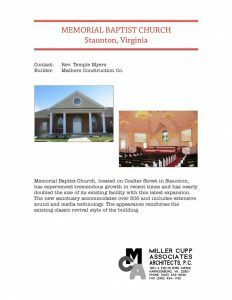 Memorial Baptist Church – Miller Cupp Associates, Architects, P.C. 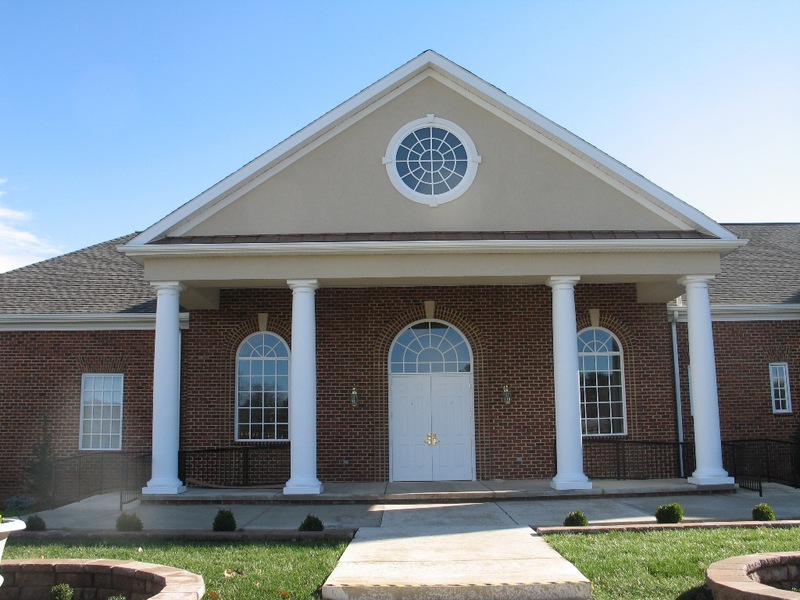 Memorial Baptist Church, located on Coalter Street in Staunton. has experienced tremendous growth in recent times and has nearly doubled the size of its existing facility with the latest expansion. 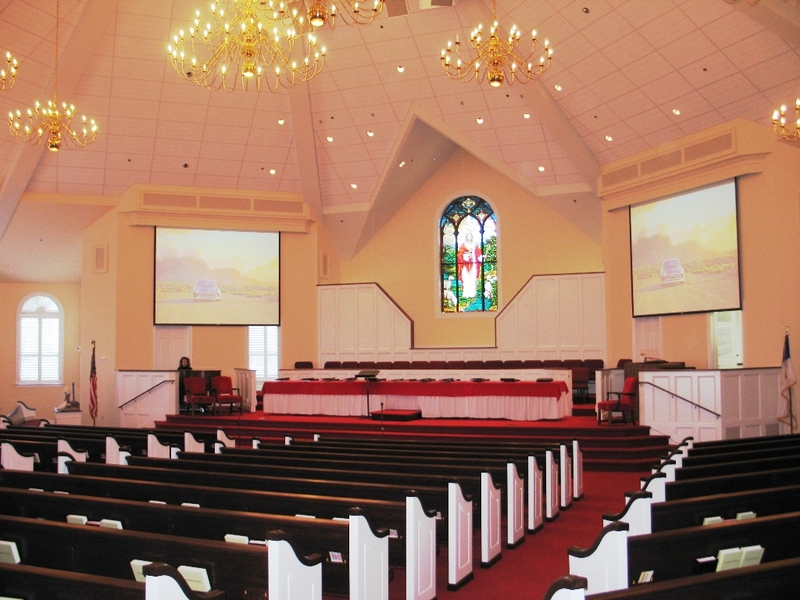 The new sanctuary accommodates over 500 and includes extensive sound and media technology. The appearance reinforces the existing classic revival styles of the building.